Product code: CW-SCP-20. Category: Square Cushion Pads. Purchased the wool fill cushion, added the extra 1” x 1” as advised to make the cover plump up the cushion. Really warm for the feet. Thank you, and thanks for the excellent time-frame and packing it arrived in. We bought 4 wool cushion pads because our 8 year old feather ones had collapsed and feathers kept worming their way out. Very impressed with product and service which was excellent. Would highly recommend! I purchased five 20×20 inch luxury cluster fibre and they are the very best I have ever used. The cotton covers are extremely good quality and are really lovely and full and so comfortable. Great price and very well packaged. I have just ordered another two rectangle cushion pads and am looking forward to making the covers for those too. The postage is a little on the high side but I guess is worth it for the quality and great service. I bought two of the 20″ x 20″ cluster fibre cushions and they are great value. The linings are a good quality and give the cushions a more expensive feel. My cushions look revived now that they actually fit the covers. Highly recommend. Only slight negative is that delivery was slow, they took a week to arrive. I ordered 6 luxury fibre cushions pads. I rang up and the man advised these as they last longer and also to buy one size bigger – so glad I did as my covers look plump. The cushion pads are amazing quality. Definitely worth the money and they were nicely packaged. Nice heavy duty cushions. However I think as a big company delivery should be free or at least a little cheaper. Plump and lush cluster fibre cushions. Excellent service, wonderful cushions. Recommended! Purchased: Hollow fibre – Delighted with the pads we bought. Fast despatch. Excellent all round. I bought, several cushion pads in cluster fibre. They arrived promptly and were very well packaged. I shall order from this company again! Purchased in Cluster Fibre. Bought 5 x 20 by 20inch cushion pads. Great quality and robust: essential with 4 boys in the house! Purchased in Cluster Fibre. 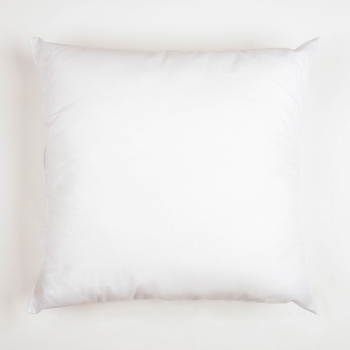 Lovely full cushion pads, and really good advice to choose a size larger than the cushion cover – the result, perfect comfy cushion and really good value! Purchased in Cluster Fibre. The products are wonderful I always purchase cushion pads from this company. Purchased in Cluster Fibre. very good product and service. would definitely buy from this supplier again. Purchased in Cluster Fibre. Lovely plump cushions. Good quality and excellent delivery service. Purchased in Feather. Excellent product, fair price and prompt delivery. Thank you! I’ve replaced all my feather cushion pads because they were flat and old and replaced them with the luxury fibre cushion pads and they are perfect, the new pads have made my cushions look like new again. Purchased in Luxury Fibre. 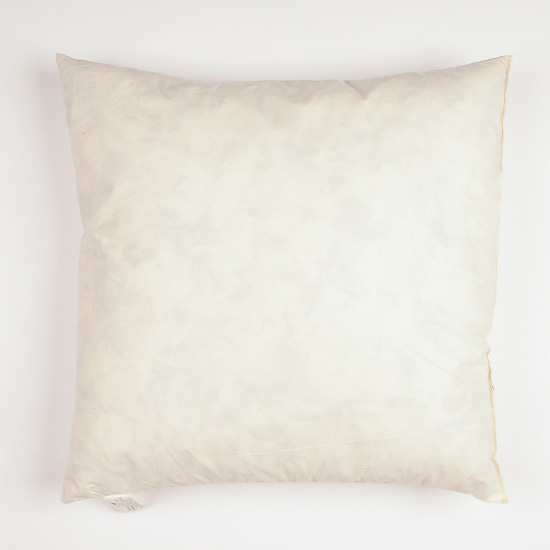 Lovely plump cushions, quality cotton covers. Excellent service.